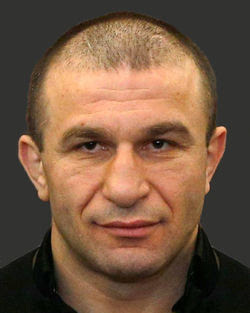 In addition to being a WBO prizefighter, Avtandil Khurtsidze, 39, “was the man who bloodied others” on behalf of Brighton Beach mob boss Razhden Shulaya, prosecutors say. Khurtsidze has been in federal lockup since his arrest last year and faces as a much as 40 years if convicted. 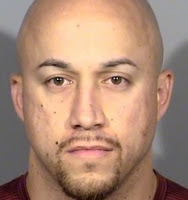 He sat slumped in his chair as prosecutors went through evidence, including multiple security videos they say will show the boxer threatening or bloodying people on behalf of co-defendant Shulaya. Shulaya stands accused of being the mastermind behind three illegal operations: the buying and selling of untaxed cigarettes, running an illegal poker ring that cheated its players and hacking the code on slot machine software so that members of the ring could rig the winnings. 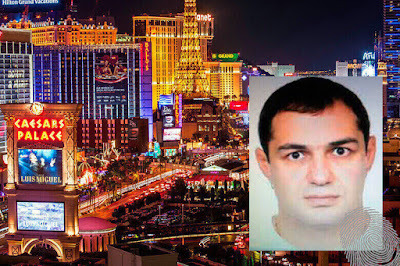 Razhden Shulaya, also known as Razhden Pitersky, Roma and Brat, can be sentenced to 65 years.